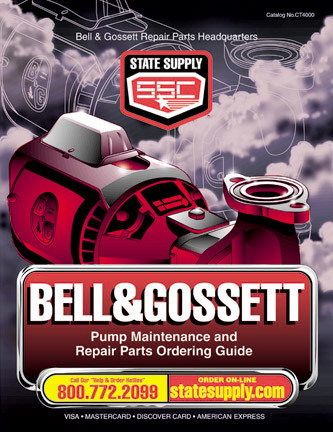 Bell & Gossett bearing housing for B&G series VSC pumps. Bell & Gossett bearing housing for size 6x8x9-3/4 B&G series VSC and VSCS pumps. Bell & Gossett bearing housing for size 6x8x9-3/4 (F construction) B&G series VSC and VSCS pumps. Bell & Gossett bearing housing for size 6x6x12 (F construction) B&G series VSC and VSCS pumps. Bell & Gossett bearing housing for sizes 10x10 and 10x12x13 B&G series VSC and VSCS pumps. Bell & Gossett bearing housing for sizes 10x10 and 10x12x13 (F construction) B&G series VSC and VSCS pumps. Bell & Gossett bearing housing for size 8x10x17 B&G series VSC and VSCS pumps. Bell & Gossett bearing housing for size 12x14x17-1/2 B&G series VSCS pumps. Bell & Gossett bearing housing for sizes 12x14x12-1/2 and 12x14x12-3/4 B&G series VSCS pumps.